Home Latest Stories BSP chief Mayawati won’t contest Lok Sabha polls. 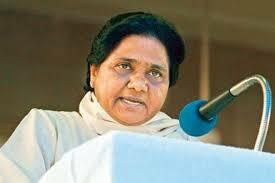 BSP chief Mayawati won’t contest Lok Sabha polls. Bahujan Samaj Party chief Mayawati on Wednesday announced that she will not contest 2019 Lok Sabha election. Ms. Mayawati announced her decision in an impromptu press conference in Lucknow. She said She had decided not to contest keeping in mind the current political situation.She said her party is in a strong alliance with Samajwadi Party and Rashtriya Lok Dal and it is more important for the alliance to win more seats rather than her own victory. 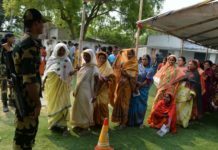 However, Mayawati said that she will contest later if needed. Next articleBangladesh-China bilateral trade to reach $18 billion by 2021.